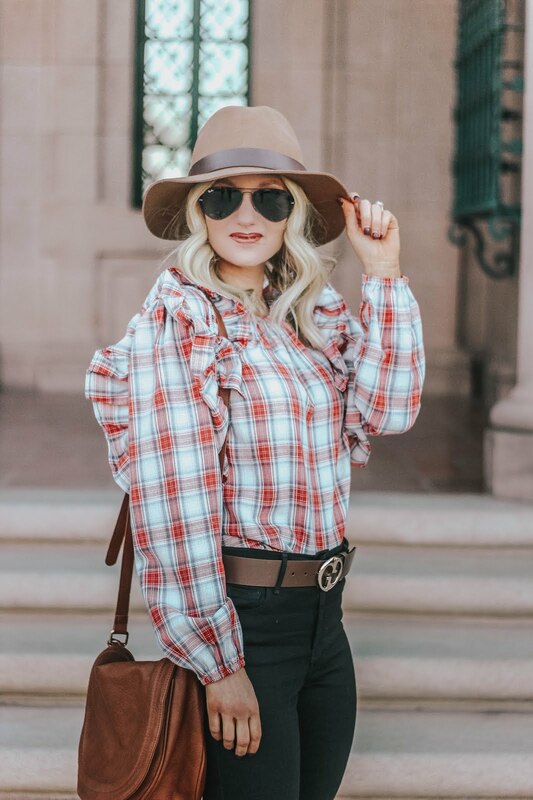 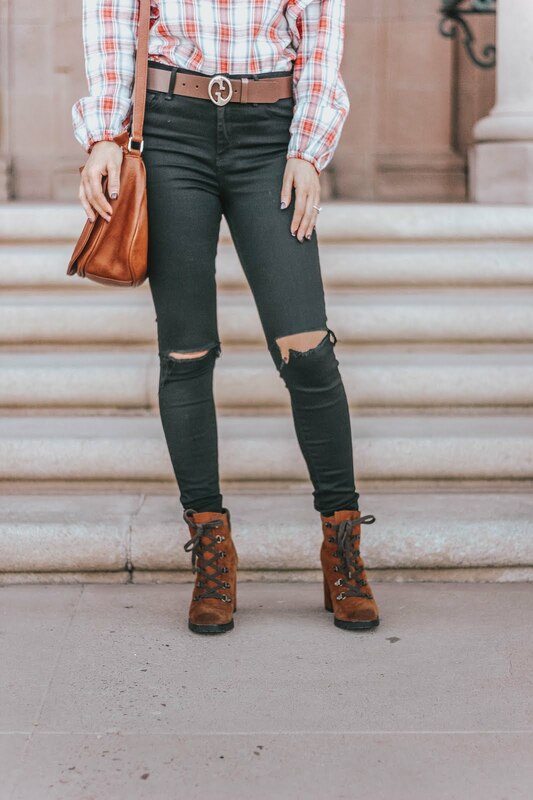 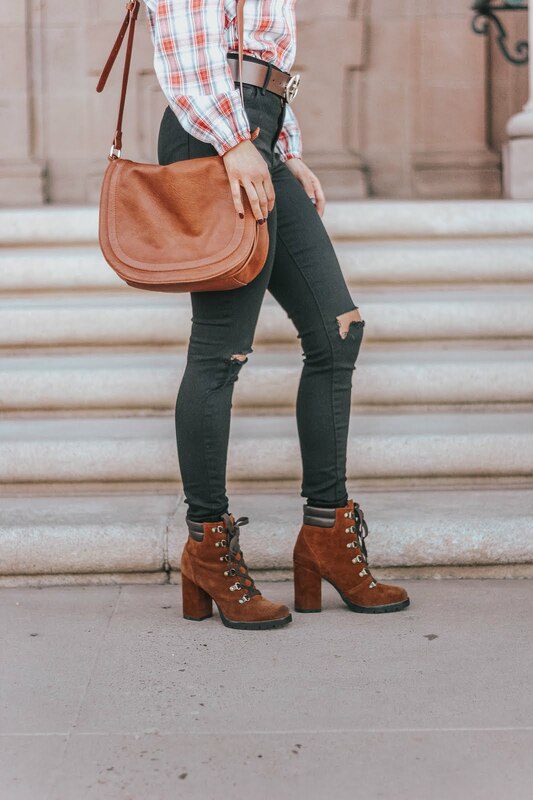 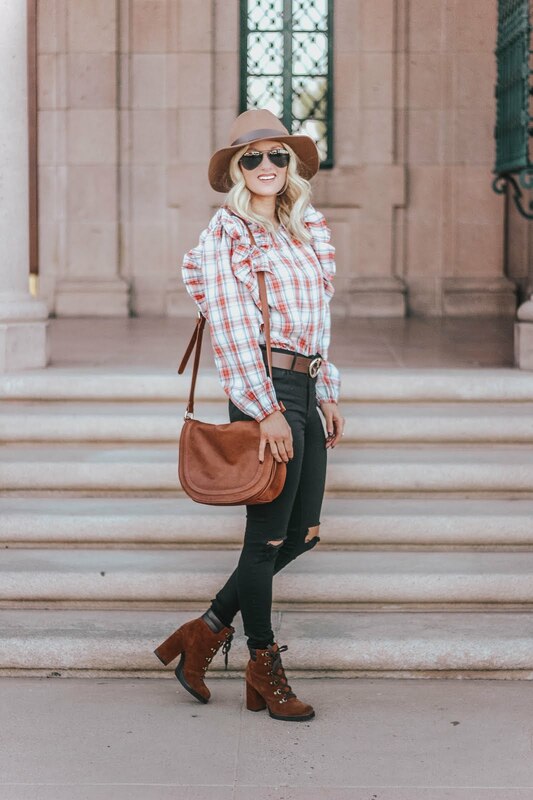 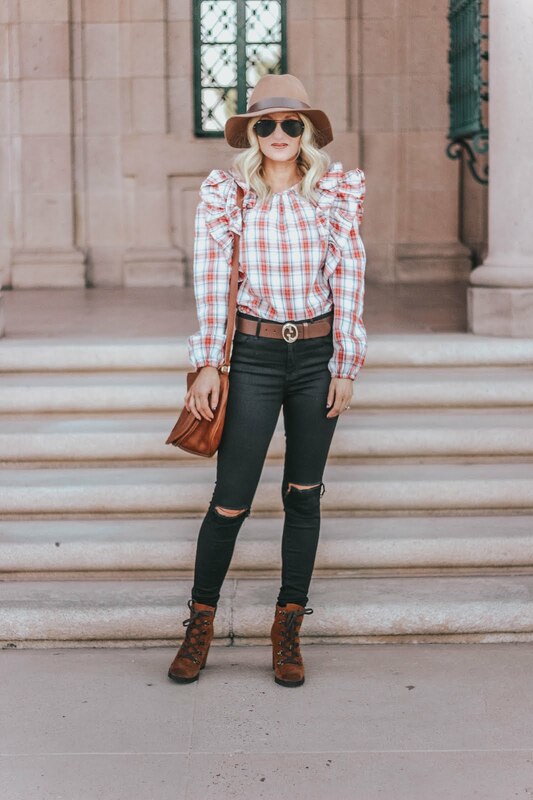 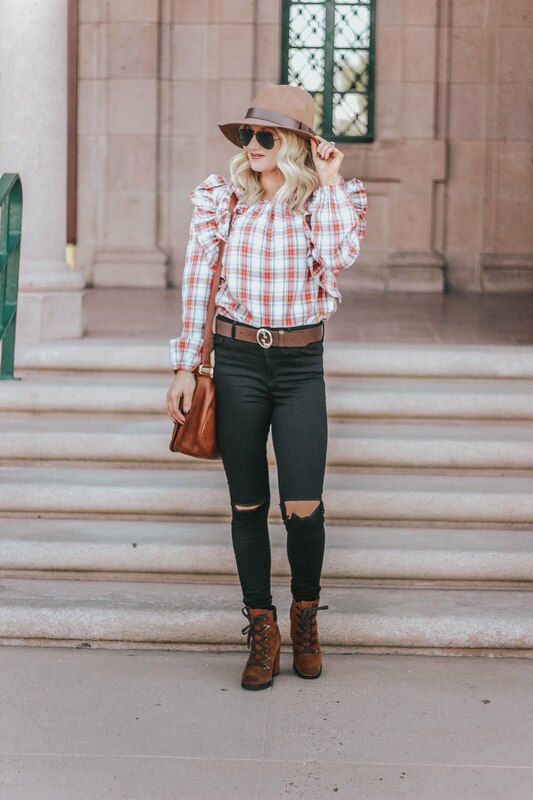 Top: Shein c/o (only $18) | Jeans: Mott and Bow | Booties: Old similar here, here, and here | Hat: Nordstrom | Bag: Amazon | Sunglasses: Old similar here | Lipstick: MAC in shade "O" with this lipliner in "Mahogany"
If you are a plaid lover, then you will love this top! 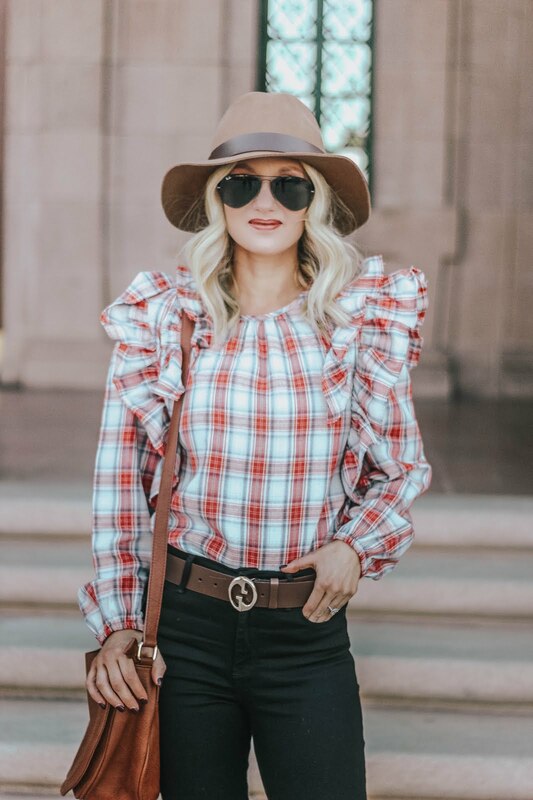 It's only $18 and the ruffle sleeves are just to die for. 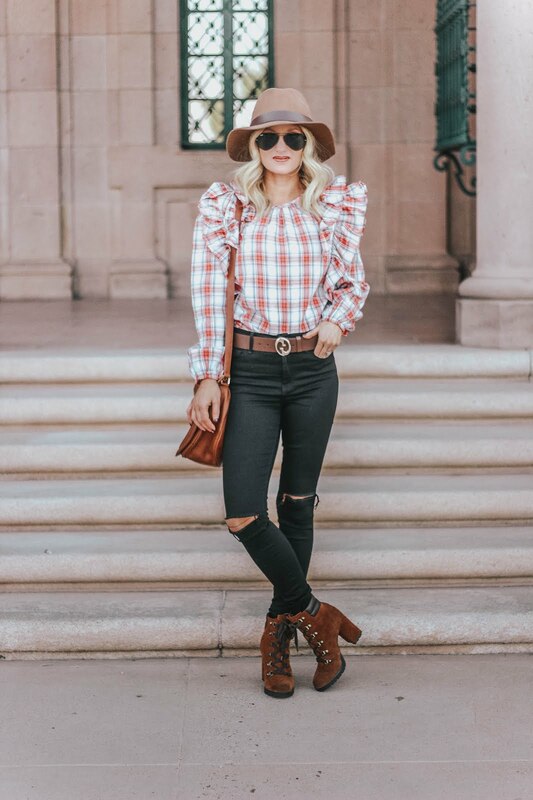 It also, bunches up at the wrist to give a bubble look.